Brian and I are both at IDF this week, and later today we will be doing our first video show from Moscone West. If you've followed our Podcast, you can expect to see the same sort of content and discussion just in video format from IDF itself. We'll be talking about Baytrail, the Moto X, the new iPhones and more directly from IDF. I want to thank Intel Mobile for giving us space at the show and Intel Studios for filming the event. If you're at IDF, head up to the second floor. 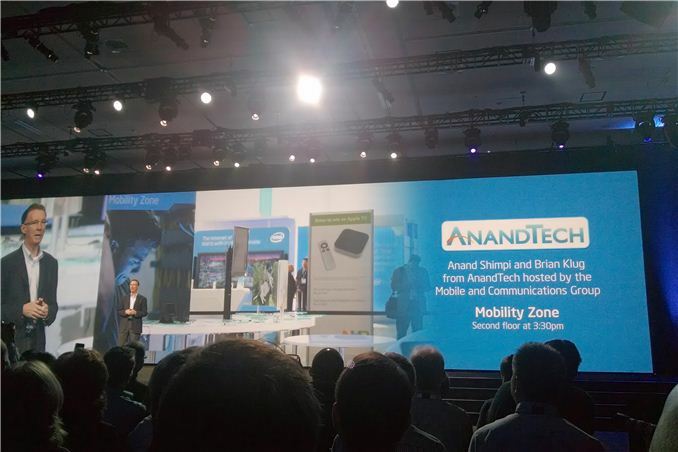 We'll be at the Intel Mobility Zone doing our thing. Anyone at IDF is more than welcome to come by and watch. If you're not at IDF, we'll be posting video (and later, audio) at 4:30PM PT today. If you can't make it to the show, Brian and I will be doing a meetup at IDF at 3:30PM PT today also at the Mobility Zone. Why can't you make it? It depends only from you. Este centrocampista central de 21 años es uno de los mejores jugadores de todo el mundo en FIFA 17. Él se jacta de un 88 ranking general con el control de 90 bolas y 91 en la resistencia y la fuerza. Es más caro que Ronaldo si quieres firmarlo en el modo Carrera. Cuesta 100 millones de libras. Este goleador llevó a Leicester a conseguir la Premier League y lo llevó a ser aclamado como el Plyer PFA del año. Este argelino cuesta £ 50 millones o 30.000 monedas Ultimate en las consolas PS4 y Xbox. Pero eso no es un mal trade-off teniendo en cuenta que tiene 92 agilidad, 89 drible y 88 control de pelota.